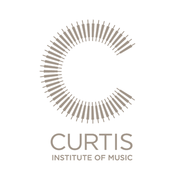 The Curtis Institute of Music educates and trains exceptionally gifted young musicians for careers as performing artists on the highest professional level. Innovative programs encourage students to invent 21st-century musical careers through unique "learn by doing" opportunities and over 150 performances per year in Philadelphia and around the globe. One of the world’s leading conservatories, Curtis provides its 165 students with personalized attention from a celebrated faculty and has produced an impressive number of notable artists since its founding in 1924. Exploring Beethoven's Piano Sonatas Part 3 via Coursera 7 weeks long 7 weeks long 22nd Apr, 2019 No reviews yet. Exploring Beethoven's Piano Sonatas Part 4 via Coursera 4 hours a week , 6 weeks long 4 hours a week , 6 weeks long 3rd May, 2019 No reviews yet.